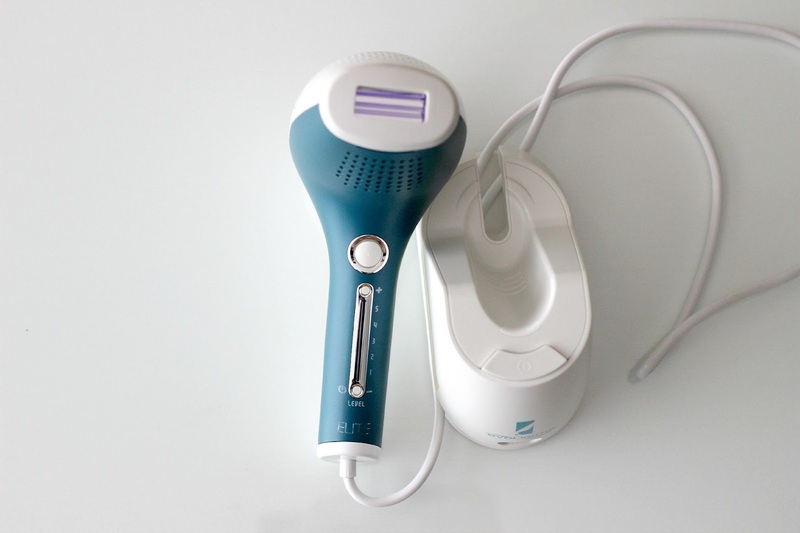 EvoDerma ELITE Advanced IPL Hair Removal Device | Review + Demo! 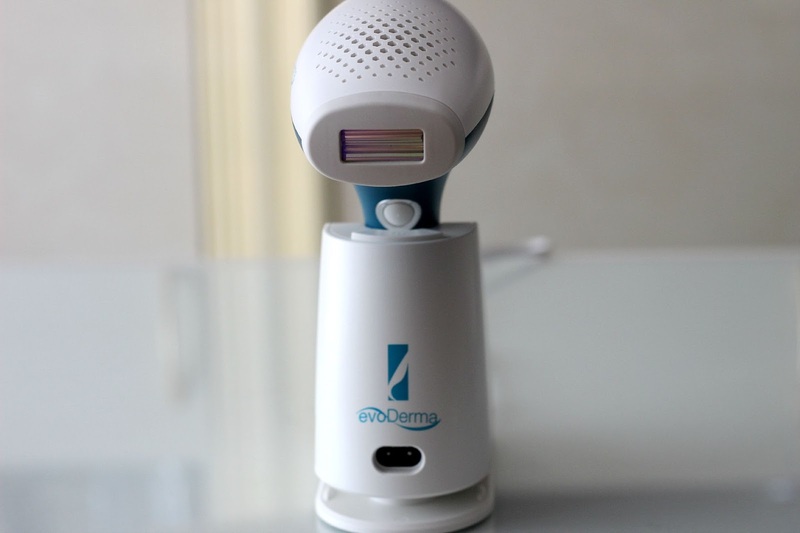 Beauty devices really fascinate me and I'm always curious to learn more about them and see for myself how they perform. My first experience with a skin care device was back in my early blogging days with the Clarisonic Cleansing Brush (reviewed here), followed by the NOOME Anti-Aging Motion Device (here) and the PRONECK Massager (here), both of which I got the chance to test out earlier this year. 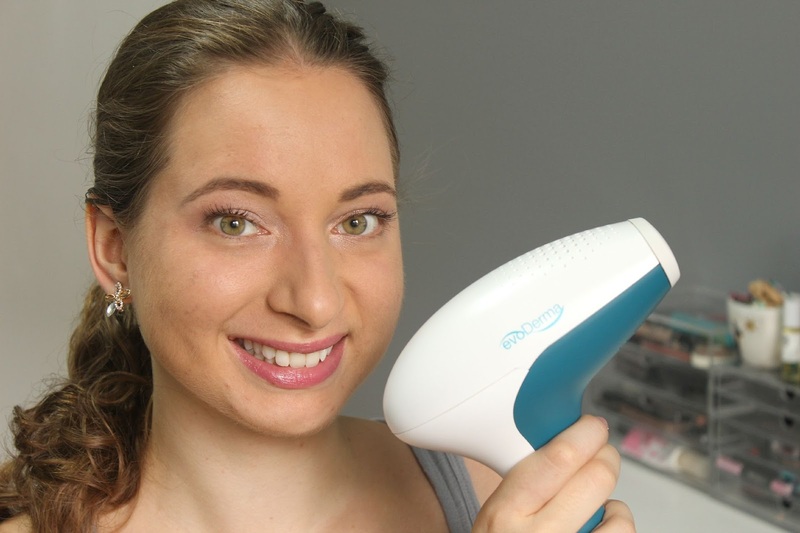 This time around, I had the opportunity to try out the evoDerma ELITE Advanced IPL Hair Removal Device*, so I thought I would share my thoughts on this at-home system with you and show you a quick demo of how it works in a video! I've never tried anything like it before, but after getting over some of my initial fears, it has turned out to be an overall great experience! If you haven't heard about IPL, it stands for "Intense Pulsed Light" and it is one of the safest and most effective methods to permanently remove unwanted body hair. The ELITE allows you to use this system in the comfort of your own home with minimal discomfort. However, because this technology targets the melanin that is found in dark hair in contrast to lighter skin, it is not suitable for all skin tones and hair colours, which is why it is important to take the Skin Tone Chart Test before trying to make sure the device is suitable for your hair and skin combination. For instance, as I have Dark Blond Hair and Light Brown Skin (here defined as sometimes mild burns, gradually tans), my combination is compatible with the device. 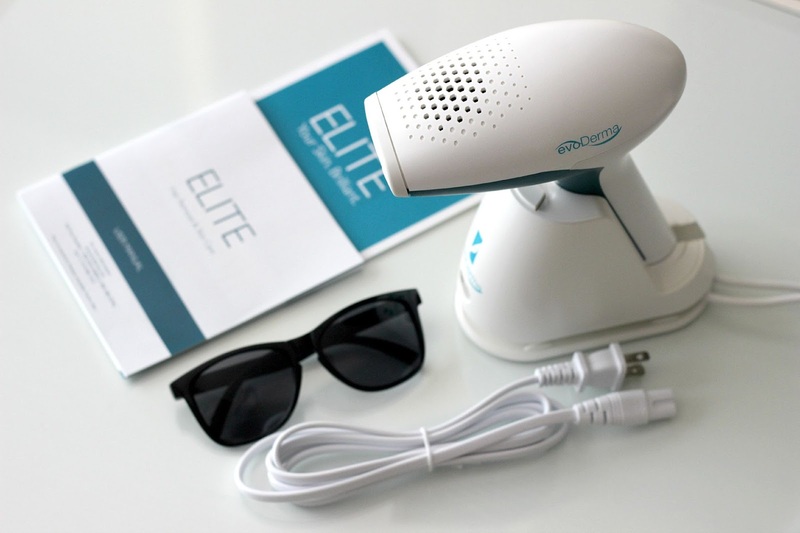 The ELITE system comes with both a base and handheld unit, a disposable lamp cartridge, IPL Protective Eyewear, an AC Power Cable and a User Manual. Is is very simple to use as I demonstrate in the video below. 1. The areas you will be treating are clean, shaved and dry, as well as free of any product such as deodorant and antiperspirant. 2. You have your IPL Protective Eyewear on. 3. You do a skin patch test 24 hours before your first treatment or before starting your next treatment on a higher intensity level. 1. Plug one end of the AC cable into the base unit and the other end into the electrical outlet. 3. Press the level down button on the handheld unit for a few seconds until you hear the device turn on and the indicator lights on the vertical scale appear. 4. Press the level up button to increase the intensity to your desired level (there are 5 in total). 5. Apply the treatment window to your skin. Once you hear beeping, the device is ready to use. 6. Press the Pulse button located above the level scale. You will see a flash of light and hear slower beeping. 7. Once the beeping speeds up again, you are ready to move on to the next area you want to treat. Cleaning the device is pretty straightforward. After every treatment, you can wipe the treatment window with a damp cloth after spraying it with rubbing alcohol. I also store it in the original box to keep it away from moisture and direct heat from sunlight. I make sure to keep track of my treatment sessions in my calendar. For instance, they recommend doing the underarms, bikini area, arms, stomach, and back every two weeks, while legs can be treated every four weeks since hair growth in that area is slower. Important to note is that the longer you use the ELITE, the further apart you can plan your treatments. After eight weeks, you can use the device as required until you notice permanent results. Overall, I am really enjoying using the ELITE. The results aren't immediate, but it only took a couple of treatments to notice less hair growth so patience is key. Let's face it, seeing a professional for hair removal can be an uncomfortable situation, so it's great to have an at-home option that works and will also save you money in the long run. 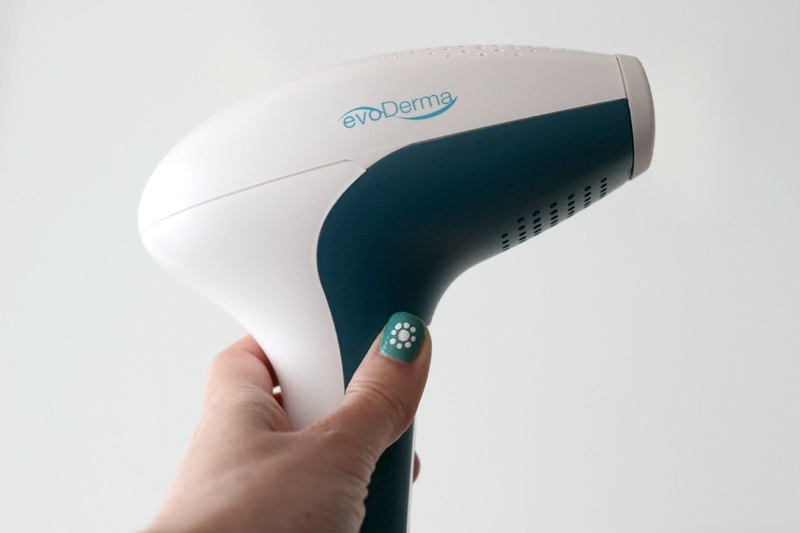 If you would be interested in trying the ELITE Advanced Hair Removal System, evoDerma is offering 50% off the device on their website when using the exclusive code LOVESBEAUTY at checkout. That means that instead of paying $599, it would come to $299, shipping included! Have you tried a hair removal treatment? Please share in the comments! *Disclaimer: Product was provided and reviewed in accordance with my Disclosure Policy. Affiliate link provided. Thankfully I don't suffer from much hair growth so I haven't felt the need to try a hair removal treatment yet. I'd like to try it on my legs to test it as it sounds pretty good.